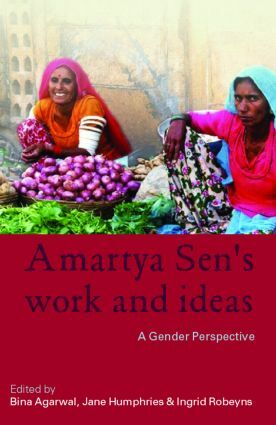 This unique volume is the first to examine Nobel Laureate Amartya Sen's ideas through the lens of gender. His humanitarian approach to economics has been crucial to the development of several aspects of feminist economics and gender analysis. This book outlines the range and usefulness of his work for gender analysis while also exploring some of its silences and implicit assumptions. The result is a collection of groundbreaking and insightful essays which cover major topics in Sen's work, such as the capability approach, justice, freedom, social choice, agency, missing women and development and well-being. Perspectives have been drawn from both developing and developed countries, with most of the authors applying Sen's concepts to cultural, geographic and historical contexts which differ from his original applications. Significant highlights include a wide-ranging conversation between the book's editors and Sen on many aspects of his work, and an essay by Sen himself on why he is disinclined to provide a definitive list of capabilities. These essays were previously published in Feminist Economics. Bina Agarwal is Professor of Economics at the Institute of Economic Growth, University of Delhi. She is also Vice President of the International Economic Association and Past President of IAFFE. Jane Humpries is Professor of Economic History and Fellow of All Souls College, University of Oxford. Ingrid Robeyns is a post-doctoral research fellow in the department of Political Science at the University of Amsterdam.